Despite the fact that my feet were itching and my pockets are quite empty, the planet of travel Mercury has ruled over to get my feet scratched. My mother who has been working real hard these holidays decided she will treat herself, the family, and her staff to the beach. 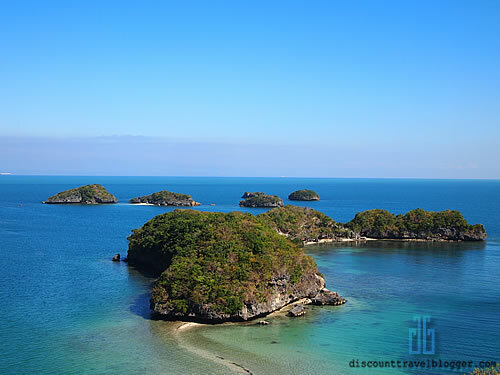 Destination: Hundred Islands in Pangasinan. Soon enough, I was there on the boat in Pangasinan hopping islands and enjoying taking photos of the view and my nieces. The last time I was here was 2011 and I can tell you how tourism can change a place, it’s still beautiful but it is more developed than it was (something like most nature loving backpackers might not like). Local tourists are still a lot and spending overnight in the islands are becoming popular. The boat prices are almost the same, they have put zip lines on 2 different islands, in Governor’s Island they charge Php 250($5+) versus Php 100 ($2+) at the Quezon Island. Although the latter is cheaper, it was also shorter than the one in Governor’s Island that boasts it’s longer zip line and a more beautiful view of sand bar connecting islands, clear turquoise water, and other neighboring islets. I personally enjoyed it this time than the last time just because we traveled on a slower phase than we did the last time, and even though I didn’t really swim, I enjoyed watching and shooting photos of nieces as enjoying the beautiful beach of Pangasinan.